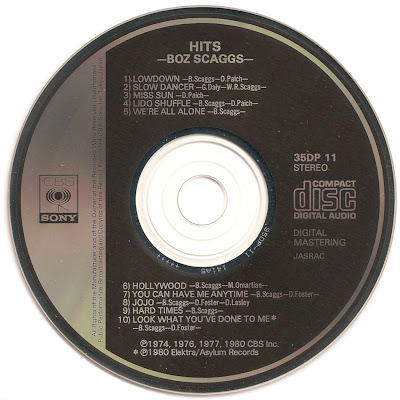 The First Pressing CD Collection: Boz Scaggs - Hits! 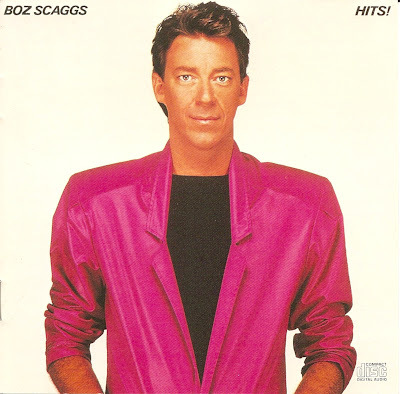 William Royce "Boz" Scaggs (born June 8, 1944) is an American singer, songwriter and guitarist. 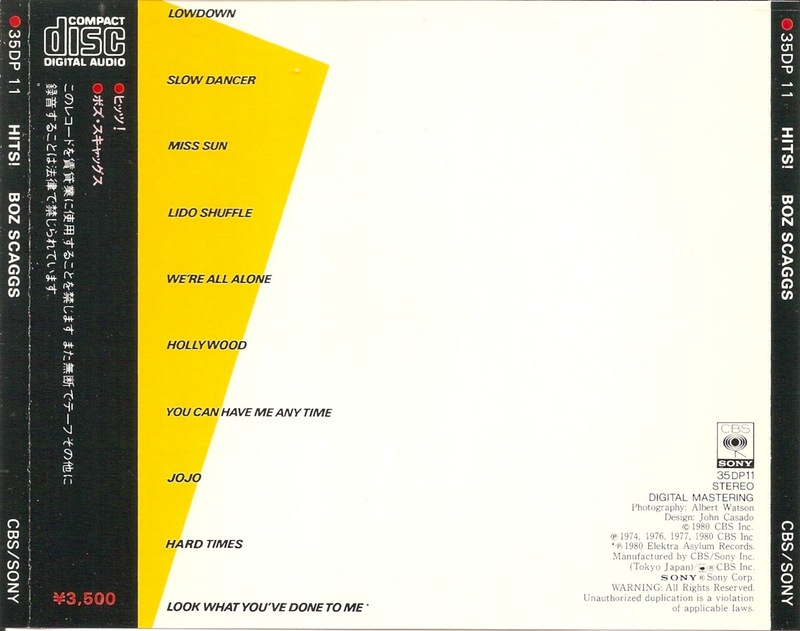 He gained fame in the 1970s with several Top 20 hit singles in the United States, along with the #2 album, Silk Degrees. 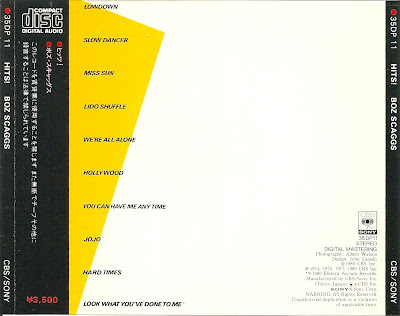 Scaggs continues to write, record music and tour. Hits! 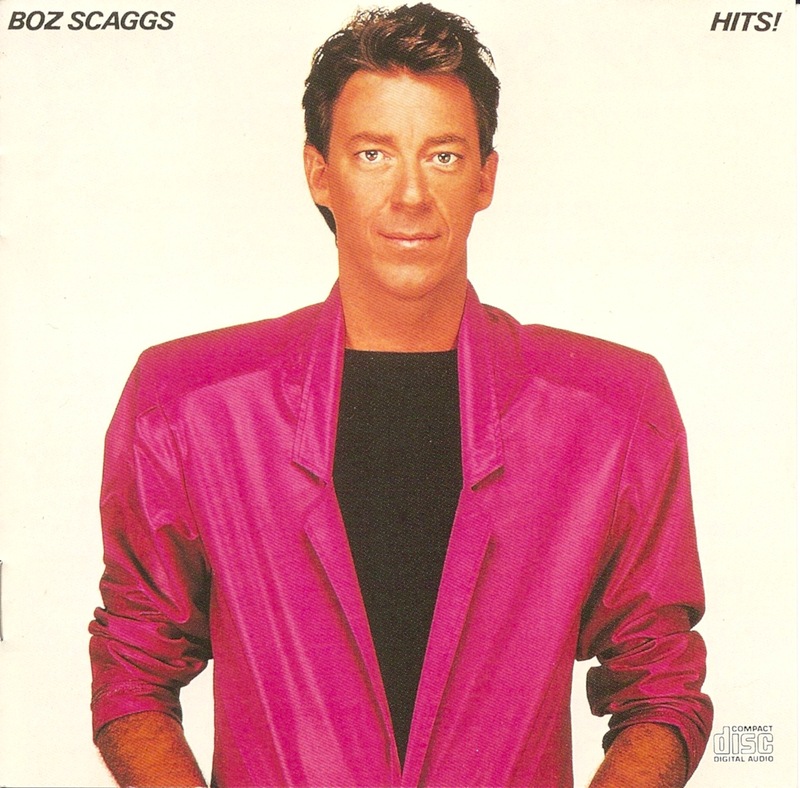 is a compilation album by Boz Scaggs, first released in 1980.